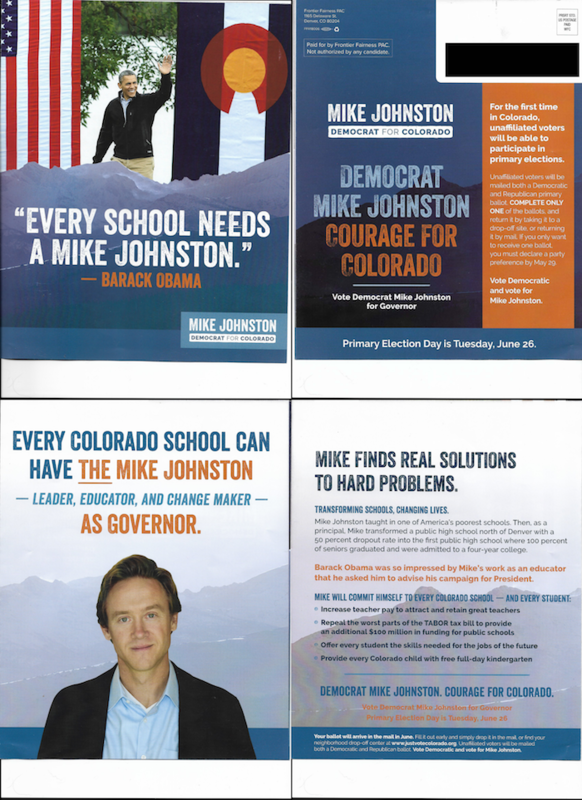 About the message: Lots of folks received this mailer from Frontier Fairness supporting Democratic gubernatorial candidate Michael Johnston. It features former President Barack Obama and a quote from him that "Every school needs a Mike Johnston." Inside, the mailer lists what Johnston will do to improve schools in the state, including repealing portions of the Taxpayers Bill of Rights. It also includes a note to unaffiliated voters, urging them to vote Democratic and to vote for Johnston.